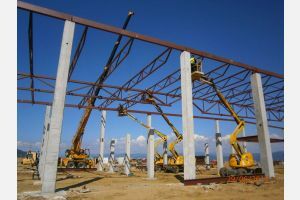 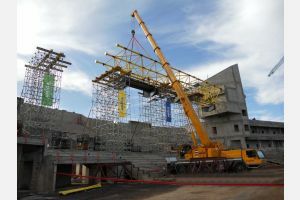 The construction sector includes the performance of all kinds of construction, electrical-energy and mechanical works. 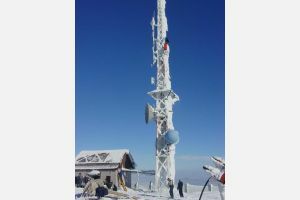 We specialize in works on difficult terrain, where we especially highlight the construction of mobile telephony base stations for all three operators, since 1996 to date over 1000 /, high masts for transmission of digital television signals as well as a large number of highly complex facilities per "turnkey" system. 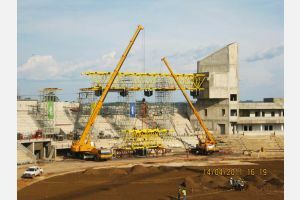 Installation of the two biggest and heaviest chair lifts "Duboka 1" and "Duboka 2" on Kopaonik, as well as the chair lift "Tornik" on Zlatibor, was performed by helicopter. 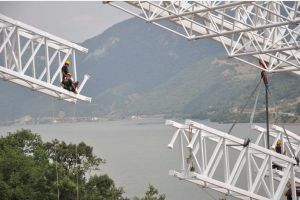 The highest antenna masts for the transmission of digital signals installed in Sombor and on Crni Vrh are 120m high. 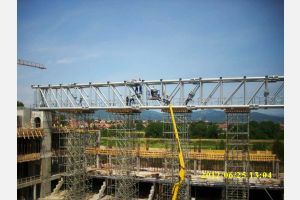 In sector of steel roof structures we in particular emphasize coverage of the archaeological site Lepenski Vir (span 48m), sports hall in Zrenjanin (span 55m), sports hall in Kosovska Mitrovica (span 42m), sports hall in Leposavic (span 39m), than production and installation of over 1.600t of heavy steel structure to cover a football stadium in Gabon, the largest span over 80m, production and installation of over 2.500t of heavy structure for production hall of Fiat in Kragujevac, etc. 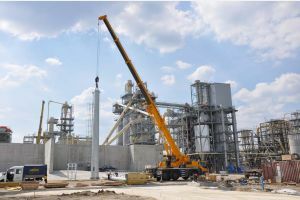 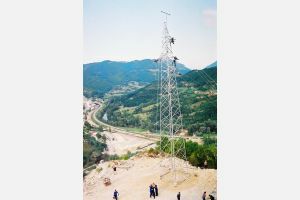 We performed complete construction work on the building substations Belgrade 20 and Vranje 4/400/110kV /. 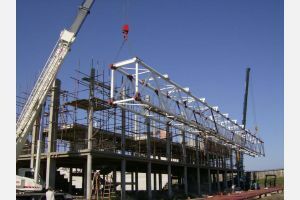 Per "turnkey" system we have built a large number of industrial and sports halls, energy, commercial and residential buildings in all parts of Serbia. 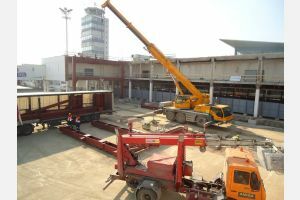 In particular, we emphasize a multi-functional sports hall in Kraljevo, football stadium Metalac in Gornji Milanovac, chicken farms and the slaughter house in Lajkovac and Plandište, building of Air traffic control in Lađevci, etc.